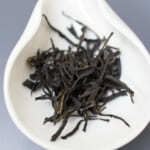 Did you know the stem of tea is an important factor that affects the taste of tea? Japanese green tea is usually made of 1 bud and 2 leaves where the aracha (or mao-cha in Chinese, means the crude tea right after the process) contains noticeable amounts of stems. However, the stems are removed during the sorting process subsequently. 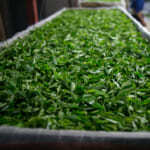 For Japanese tea industry (while even for most of the teas in China and Taiwan), the appearance of the tea leaves are one of the most important criteria. Therefore, tea manufacturers work very hard to remove the stem due its colour that are of lighter green, to make sure that the appearance of tea is in dark green colour. Using high-tech equipment such as a colour sorting machine, the stems will be effectively removed. 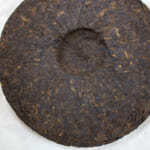 However, a tea without stems produces a flatter taste plus spreading of the flavour would be reduced. 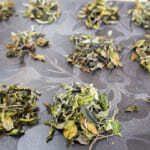 I conducted an experiment as follow to demonstrate the effects of the tea stems against the tea produced. I prepared an aracha that contains stems and I manually removed the stems and compared the taste between aracha, stems and tea without stems simultaneously. In an amount of 3-5g of aracha which is meant for a 1 time brewing, it does not contain too many stems; perhaps a range from a few to several stems. The results obtained shows that the differences are extremely obvious and noticeable. The aracha that contained stems produces a stronger body and naturally we felt that the flavour is stronger and widely spread. 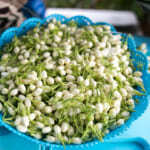 However, the aracha that had leaves without stems produced less flavour and lighter body. On the left is the manually-sorted stems, the center is the tea without stems and the one on the right is the aracha that contains stems. 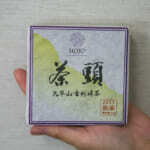 Most of the Japanese green teas are processed as a tea shown in center. 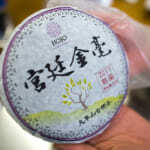 They are sure to remove the stem to obtain a beautiful and consistent appearance of tea even if it sacrifices the taste. If you take vegetables as an example, it is easy to imagine why the stem is so essential. If you eat celery, which part do you enjoy most between the stem and the leaves? When you eat spinach, which part is sweeter between stems and leaf? Generally, we would enjoy the taste of the stem more compared to the leaves, regardless of eating the vegetables as salad or cooked. 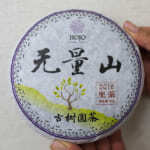 Likewise, the stem of the tea is sweet and it produces a stronger body than the leaves. 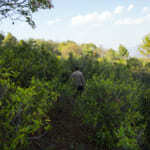 That is why Karigane is very popular among our tea line-ups. The Karigane does not have a strong after taste, yet it gives strong body and many customers naturally and unconsciously enjoy it. Based on this concept, I purposely remain the stems when I process Japanese green tea. 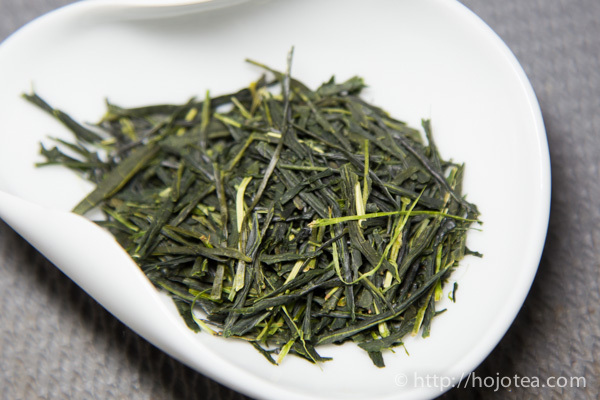 For all Sencha and Hojicha that I released since last year, I stopped removing the stems. Personally, tea was meant for us to drink and enjoy its fullest and richest taste. I would not sacrifice the taste for the sake of its appearance.